Who doesn’t love perusing the clothes and accessories at a trendy boutique? On the eighth day of our 12 Days of Small Businesses countdown, we’re showcasing some of our favorite boutique clients. 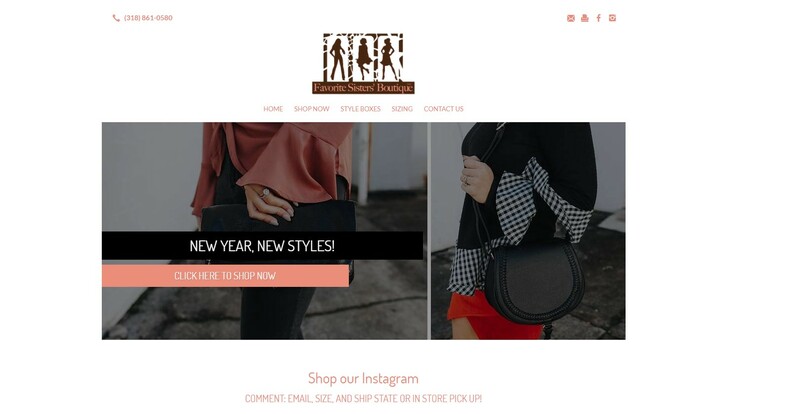 If you’re shopping for fashionable designs, check out the websites below for inspiration. Favorite Sisters’ Boutique is a family-owned business run by Alex and her mom Carri Jo. They love being involved with the local high schools around Shreveport, LA and try to feature their friends in the photo shoots. After twenty years in purchasing and sales, Debi Ford decided to follow her dream of opening up her own store in downtown Owensboro, KY. Debi makes a point to handpick the items she sells in the store, ensuring that her customers have a unique experience every time they visit. From home furnishings to tasty culinary delights, she keeps Simply Chic stocked with wonderful surprises. Since she was young, Nicole Hogg has had an eye for fashion. She was constantly looking for the latest trends and enjoyed putting outfits together. Nicole worked for a large insurance corporation for years, but her heart wasn’t in it. Last year, she knew it was the right time to pursue her dreams of owning her very own boutique and chase her passion for helping women look good and feel good. Lacie, the owner and founder of Monogram Madness, sold her brick-and-mortar store and decided to launch an online-only business to serve the growing number of online shoppers. 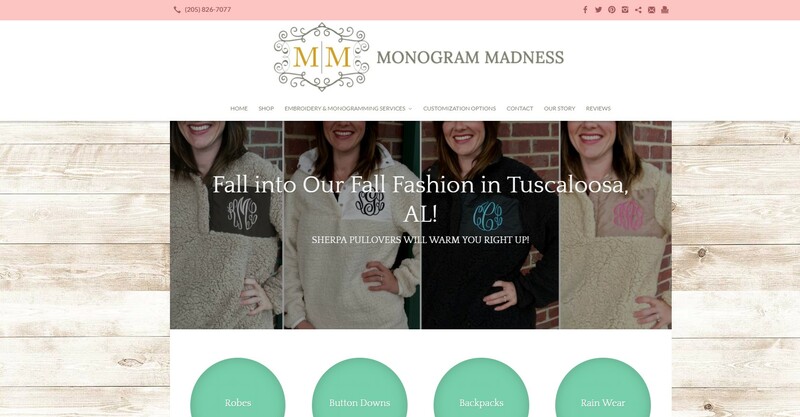 Since 2011, Lacie has sold almost 14,000 monogrammed items on her Etsy page! Jennaration is the place to go for southern charm and style. They have two locations in Northport and Tuscaloosa, AL and won Best Storefront for the ENTIRE state of Alabama in 2017. Owner Jessica Rooker loves her family and friends, her fur-babies (Snacks and Smalls), skiing and Crossfit. Jess spends a lot of time traveling to trunk shows to find new inventory for her online store, which has sizes ranging from extra small to plus sizes. Baby’s On Broadway was born as a result of owner Adelle’s obsession with everything baby once she became pregnant several years ago. 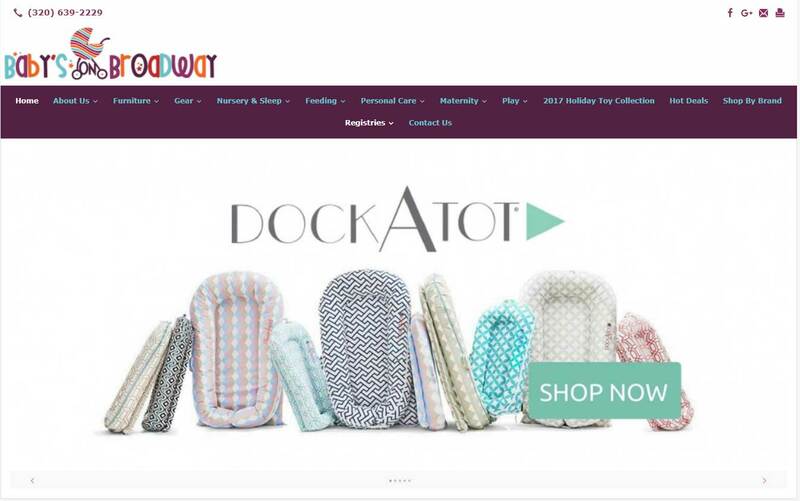 Although she was a real estate closer for 12 years, Adelle decided to take the plunge and pursue her love of unique baby products so she could help other mothers pick the very best for their little loves in a convenient location closer to home. Owner Diana Crowley named her pet deli and boutique after her dog, Zoe, who she’s had since 2004. The store is a combination of her love of essential oils and healthy dog food. She wears many hats while being a mom to her son and often watching other kids in the neighborhood. Tune in to our blog tomorrow to find out who we highlight next in the 12 Days of Small Businesses countdown.